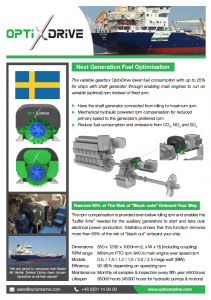 Tests show that OptixDrive can lower fuel consumption with as much as 25% (700 ton fuel per ship and year) through enabling the main engine to run on "combination mode"
We believe that Optixdrive has the possibility to have a serious positive effect on the shipping industry's total emission of CO2, NOx & SOx. The fuel pump controlsystem OptixAutorail lower fuel consumption with up to 10% for engines equipted with individual fuelpumps. Enabling each individual cylinders fuelpump to be controlled to the most optimum power and cylinder-load. On a standard fuelrack controlled engine the power takeout varies between the cylinders. It is common that exhaust temperatures vary of as much as 75 degrees and as a result of this the engine gets big variation in cylinderload. To reduce the fuel consumption on a engine the easiest way is to reduce the rpm and load the engine on lower rpm. However, the result of this is quite common also increased exhaust temperatures. The turbine temperature is a result of the highest cylinder exhaust temperature. When a high turbine temperature occurs the load control system deload the propeller. With OptixAutorail system installed all cylinders have the same power takeout and therefore the deload only occurs when all cylinders are overloaded. After installation the exhaust deviation is within 5-10 degrees as standard. The OptixAutorail controlmodules are installed on each individual fuelpump. The exhaust temperature on each cylinder exhaust is measured and the individual fuel pump module is controlled with this as one of the references. During the installation the original fuelrack is disconnected and the original regulator is replaced by the controlprocessor in the OptixAutorail system. To get a more exact engine rpm the OptixAutorail system has a separate rpm pickup. Mechanical installation is done in two days by OptixMarine installation team and thereafter one engineer joins the vessel for one day to tune the system to the specific engine. No docking or of-hire is needed for the installation. OptixAutorail is ethernet connected and uploads condition reports of each part in the system. This information includes daily calibration settings, variations in demanded fuelpump settings etc. Based on this data the system is able to perform forecast calculation related to engine wear, maintenance demand and other issues in the engines controlsystem. The OptixAutorail can work as a “stand alone” system together with the ships control system or in cooperation with a optimisation system/ software. Most tuning and optimisation systems “listen” to the existing data from the engine as it is today. They do their best to optimise and reduce fuelconsumption on the engine. However, it all come down to the correctness of the received data from the engine. If the temp from one cylinder is too high, the system will reduce the load on the engine. Hence the optimisation system is “fooled” by the engines data. The OptixAutorail system is active within the engine instead of just listening to it. The result is that all systems that are listening to the engine will get correct data and therefore perform better. An installation of this system will result in fuelconsumption reduction of up to 10%. The OptixMarine Team have more than 25 years experience in ships systems and believe that the shipping industry has a sustainable future. Our goal is to use this experiences and knowledge to lower energy consumption onboard ships. We are proud to be backed by The Swedish Innovation Agency VINNOVA along with The European Commission that has chosen OptixMarine AB for the SME Instrument Phase 1 program, or as they refer to it: "Champions league among smaller companies based on highest growth potential, a program that give them every chance to succeed." We welcome Rederi AB Donsötank to the OptixMarine family! 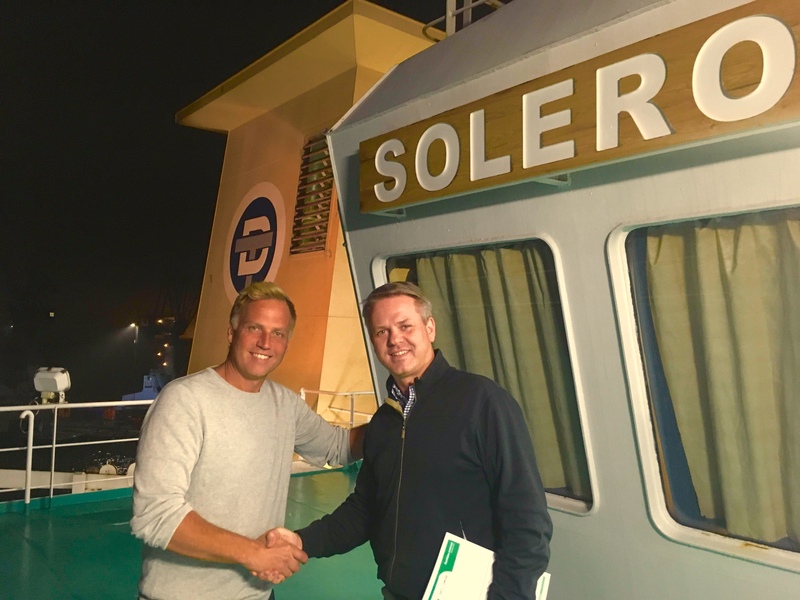 The have signed orders for two OptixDrive for their ships M/T Solando and M/T Solero. First delivery in april 2019 for the Solando and august 2019 for the Solero. AB Veritas tankers, Veritas Astorias OptixDrive has now been running for almost thousand hours. The final result in savings during a period of two months with same conditions in 2016 and 2018 have resulted in a decrease of main engine fuel consumption with 1kg/Nm including the production of 300kw from the shaft generator for the hotel load during vouage. In short term the increase of main engine efficiency due to the kw load from the shaft generator (that does not affect the hydrodynamics of the hull) has resulted that all kw produced by the main engine is more efficient. The result is a reduction with 1kg/Nm and free electricity during voyage. The annual savings for Veritas tanker and the Veritas Astoria is approx, $240 000. AB Veritas tankers, Veritas Astorias OptixDrive is now installed and in service. The unit has been running stabile and with good results for over 300 hours onboard. Maximum load so far has been 700kw and the output result has been +- 0,2hz in maximum frequency drop. OptixMarine has started with the installation of misc, equipment onboard the Veritas Astoria. Controlcabinet, cables and information screen is now installed onboard. After additional testing and packing of AB Veritas tankers OptixDrive, the unit is now ready for shipment to Veritas Astoria. The unit will be delivered onboard during their port of call in Sundsvall Sweden. The installation will soon thereafter be started by the OptixMarine installation team. The preview was performed on march 12 and persons from several of Scandinavias biggest shipping companies attended. There was a lot of impressed faces on site when the witnessed the Optixdrive showing of its stability and rigid exactness. After extensive work together with Bureau veritas the Optixdrive 1.5 that will be delivered to AB Veritas tankers vessel M/S Astoria has now been class approved. 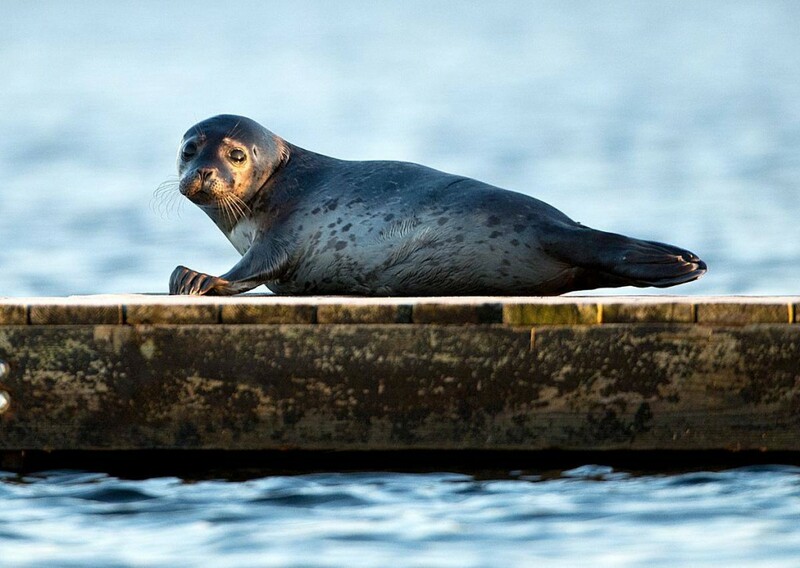 The FAT approval will be carried out on the 7th of march at Optixmarine testcenter in Lidköping Sweden. This is a big milestone for the product and for Optixmarine AB. The test run of the optixdrive is ongoing at Optixmarine ABs test bench in Lidköping Sweden. The gearbox have gone through extensive test runs and have proven to be more stabil than anticipated. During normal ME "maneuvering rpm the outgoing rpm fluctuation is very low and equals to +- 0,5Hz, seen during testing. 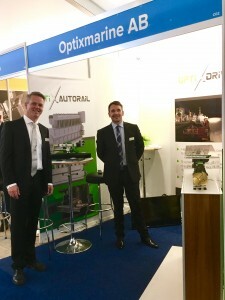 To be able to test run all produced Optixdrives that goes out on the market, Optixmarine has invested in a frequency controlled test bench that provides possibility to run the gearbox at variable rpm. This way the team can tune in the optixdrive controlsystem already in the factory. During the summer we have run tests on every part of the OptixDrive separately to make sure our final product will meet the quality standard we promise. 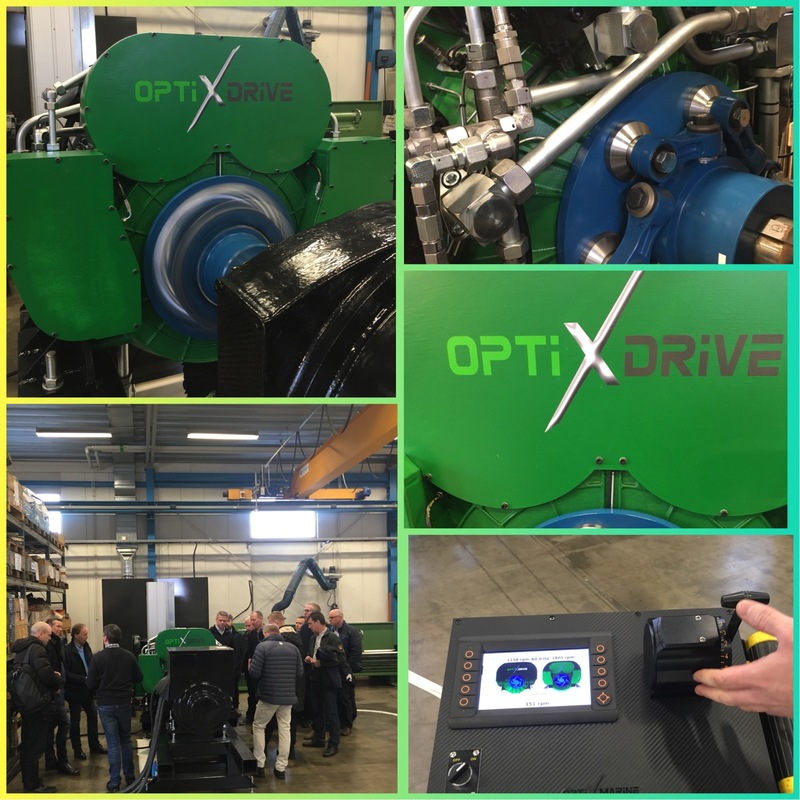 Today, the 14th of September 2017, was a day of great joy as our first official run of the worlds first OptixDrive took place in Lidköping at Framar AB. This marks an important milestone in our journey as we now enter the final tests of the OptixDrive. We would like to thank everyone who visit us in our booths at the DSM 2017, and also direct our great gratitude to all entrepreneurial people at Donsö whom organised this wonderful fair. We can't wait until next time! OptixMarine´s CTO Torbjörn Lundh and ETO Johannes Forssén have been chosen as a finalists from region west in The SKAPA Foundation's award "SKAPA Utvecklingspris" for their invention OptixAutorail - the national final will be held in November in Stockholm, were the final winner will be announced. Visit us in OptixMarines booth T03-05a at Norshipping 2017. We welcome Markus Forssén to the team and to replace Marcus Lagerstrand. Markus fills the position as Marketing & Sales Manager. We welcome Marcus Lagestrand to the team. Marcus takes the seat as Sales manager. He comes previously from Bosch Rexroth and Consilium. Optixmarine will present yet another revolutionary aid for shipowners to optimise their ships. Fuel reductions up to 5-10% and return of investment under 1 year. This product can be used combined with all other optimisation systems and results in lower exhaust temperatures, higher ME power output and lower maintenance costs. Optixmarine will attend the Nor-shipping fair in Oslo may 30th through june 2nd. Visit us in the Swedish pavilion in hall T.
2016 Has been a interesting and prosperous year for OptixMarine Ab and our product OptixDrive. We wish you all a Merry Christmas and a Happy new year! OptixMarine´s CTO Torbjörn Lundh Received the Diploma of Honor during a gala in Stockholm on September 10th. We also welcome Johannes Forssén to the team. Johannes takes the seat as Process Control Manager. We are proud to announce that our CTO Torbjörn Lundh on 13 October received the marine technology award "Stena Line Propeller Prize 2016" at Näringslivsdagen in Karlskrona. We could not have imagined the amount of positive response that we received from shipping and chartering companies. The customer book is now full with new leads and we would like to thank every that visited us during the fair. OptixMarine will have a new visiting address (from October 2016) in Gothenburg and you will find us at Lindholmen Science Park - An international collaborative environment for innovation, research and education within Transportation and other relevant industries. Meet OptixMarine on SMM in Hamburg 6-9 September in Hall B3.OG stand 113. Contact us for setting up a meeting during the fair. OptixMarine´s CTO Torbjörn Lundh has been chosen as a finalist from region west in The SKAPA Foundation's award "SKAPA Utvecklingspris" - the national final will be held in November in Stockholm, were the total winner will be announced. We have since the beginning of the year expanded Team OptixMarine and been working intensely with preparing the installation onboard Astoria. Along the way several design improvements have been done, for enabling even higher efficiency at the main engines optimal rpm. Production has started and installation is planned during Q2 2017. 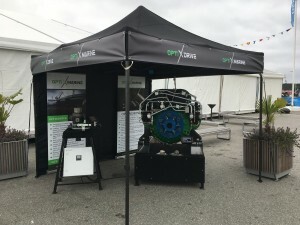 We have received the information that OptixDrive has been shortlisted for The Green Ship Technology Award 2016 and the winner will be announced at the price ceremony 16 March at Admiral Hotel in Copenhagen. The European Commission has chosen OptixDrive for their SME Instrument as one of the breakthrough innovations with a promising potential to contribute to EU’s environmental program ”Horizon 2020”, helping the global shipping industry with lowering their fuel consumption and environmental impact. Together we believe that the shipping industry has a sustainable future, you are welcome to join us. We are very happy to have recruited Jakob Johansson, product development specialist with hands-on experience from developing front end technology within the Norwegian offshore industry, that will take lead on OptixDrive's roadmap. We are glad to announce that VINNOVA has decided to invest in OptixMarine AB, supporting the implementation of OptixDrive on ships world wide. Other models, e.g. the 3,5 MW version, will be ready for deliver during 2017. Contact us if you would like a template for calculating your ROI. Our CTO Torbjörn Lundh proudly received the award for Innovation of The Year by Göteborgs Uppfinnarförening during a ceremony held at Chalmers Lindholmen in Gothenburg, Sweden. We are very grateful for this award and would like to thank everyone that has been working together for arranging the ceremony. Donsö Shipping Meet 2015 is now over and together with almost 1150 participants we are very pleased with the prosperous planning of the convention. Many contacts have been made and a great interest have been shown for OptixDrive. All eyes are, from now and forward, pointing towards the upcoming installation onboard Veritas Astoria (AB veritas tankers). We are proud to announce that Rederi AB Veritas Tankers Donsö have chosen OptixDrive on all their vessels, installations is planned for 2017. © 2016 Optixmarine AB | Trademark Registered ® | All Rights Reserved |	TemplateMonster Design.